Send Sympathy Flowers to Hillary Supporters.. Make Flowers Great Again! Grab a tissue. The results are in and Donald Trump has won the 2016 American race for presidency. Well, not really… if you ask anyone who is/was supporting Hillary Clinton. She did win the popular vote after all… so far… by one-tenth of a percent, according to the Guardian just prior to this blog going live. But, none of that matters in American presidential elections, which run on a system makes use of an electoral college, or group of votes for each state. In this race, the one that matters, Trump won by a landslide. That leaves 47.6% of the American population fairly distraught and about 93.65% of the rest of the world at least somewhat concerned. (That’s the global population minus Russia and the US, by the way.) 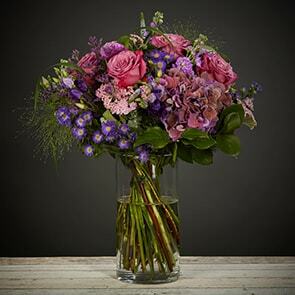 If you know someone who needs a little comfort right now, sympathy flowers are in order. You’re Going to Need a Big Bouquet. A Really Big Bouquet. A yoooge one, in fact. The good news is that it’s scientifically proven that both giving and receiving flowers can increase happiness, reduce anxiety, and lessen the amount of stress a person feels. So, flowers are a win-win all around for your favourite Clinton supporter and for yourself if you could use a little pick-me-up, too. 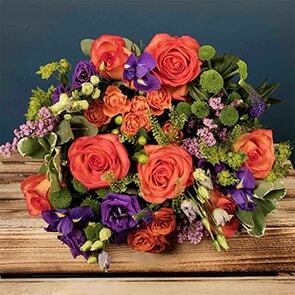 At Bloom Magic, this is the type of bouquet we specialize in; full, lavish, fresh-cut, and hand-tied arrangements. Go for White, Sans Red and Blue. Be aware that, while red, white, and blue may be a stellar colour combination, it’s probably not going to provide the response you want, unless you’re hoping to get a little jab in. 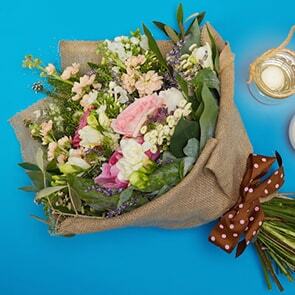 White, however, the quintessential hue for sympathy flowers, is ideal. White lilies, for example, are commonly interspersed in sympathy arrangements because they represent innocence, purity, and empathy, itself. White roses are also appropriate when a touch of elegance is required, as are hydrangeas, which tend to represent grace or heartfelt wishes. Whilst sending chocolates alongside sympathy flowers isn’t exactly customary, the present situation calls for something extraordinary. After all, Donald Trump couldn’t even keep businesses running without declaring bankruptcy six times and lost his TV show because of the racist remarks he made. Surely the American people wouldn’t entrust him with an entire country… or so we all thought. Right, so one big box of chocolates should help soothe the tender psyches of Clinton supporters. Scientists believe cocoa works like medication, boosting serotonin levels and helping blast away the blues with every bite. We have a wide selection of sympathy flowers, suitable for funerals, times of mourning, and rogue elections. Each of our arrangements comes carefully pieced together with the freshest blooms and is hand-tied, so it’s guaranteed to last a full week. We also carry mood-boosting chocolates to accompany your thoughtful gift, as well as other customisations like note cards and candles. The Americans are on their own with this one, but you can begin by browsing our selection of sympathy flowers today. Delivery is free with same-day service in Dublin and next-day arrival across Ireland.